The assumption is that this is a single server scenario and DHCP/DNS are also installed on the server you are migrating from. Therefore please ensure that the Windows 2003 server has got ONLY its own IP address configured in the TCP/IP properties of the network card. There should be no external DNS servers listed here. If you have made any changes to the above configuration it's best to restart the server so that DNS is updated and all the services are bound to the correct adapter. Perform all available Microsoft Updates. Windows 2003 should at a minimum have Service Pack 2 installed along with Service Pack 2 for Exchange 2003. When you run Windows Update check the link across the top of the screen for Microsoft Update; this will ensure you receive updates for all products. Before we begin, a bit of background first. 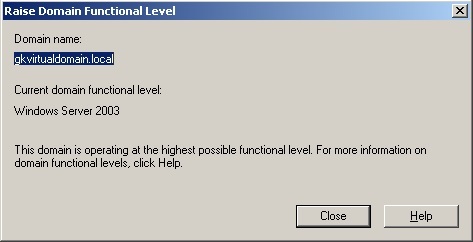 When raising the Domain or Forest functional level it’s worth noting that this process is non-reversible (with the exception of Windows 2008 R2 where the level can be lowered under specific circumstances). The functional levels allow access to more advanced features provided by the newer versions of Directory Services. With this in mind caution needs to be taken when raising these levels. 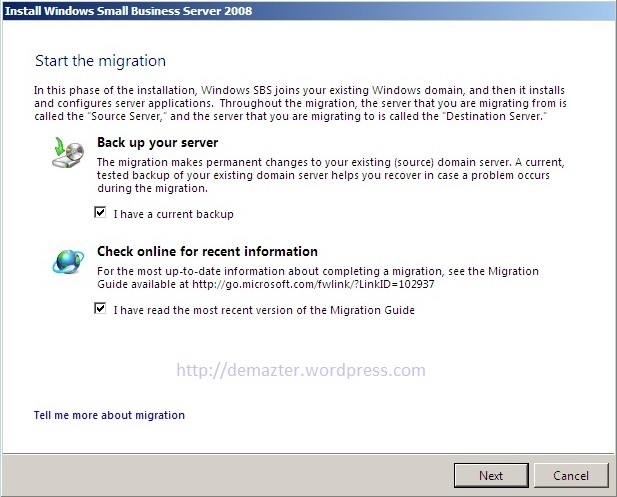 For example raising the Domain/Forest functional level to Windows 2003 (native) will prevent any Domain Controllers that are not Windows 2003 from functioning or being joined to the domain as Domain Controllers, you will therefore need to ensure any older DC’s are upgraded or removed prior to the change. 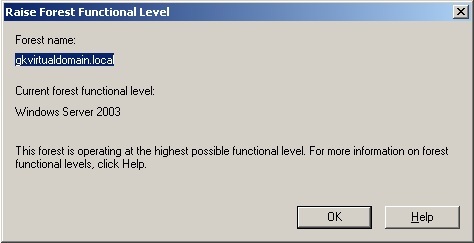 Raise the Forest Functional Level of the Windows 2003 Forest. In Active Directory Domains and Trusts right click Active Directory Domains and Trusts and select Raise Forest Functional Level. This needs to be set to Windows Server 2003. Again if it's not already you will have the option to change it. Once that's done run the Exchange Best Practice Analyzer. The test you need to run is the Exchange 2007 readiness check. 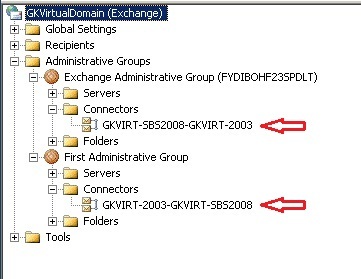 This scan will tell you if there is anything that needs to be resolved prior to the installation of Exchange 2007 which is performed as part of the Small Business Server 2008 install. The first step of preparing for the installation of SBS2008 is to run sourcetool.exe. This will prepare the forest and domain and change Exchange from Mixed mode to Native mode (Exchange 2007 will not install if it's not in Native mode). The first thing you will be asked is to confirm you have a FULL backup. I cannot stress this enough because this is where all the changes to your Active Directory start happening, so even if you took one at the start of this process, take another one now! Once done you will be presented with a screen that tells you it has successfully prepared the server for migration and you will have the option to create an Answerfile. 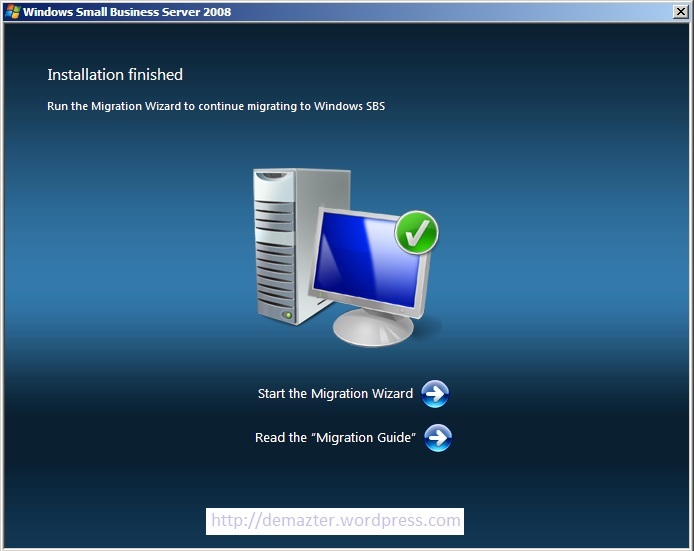 I say 'option' because it will let you close the wizard without creating one, but if you don't have an Answerfile you cannot put the SBS2008 installation into Migration Mode. 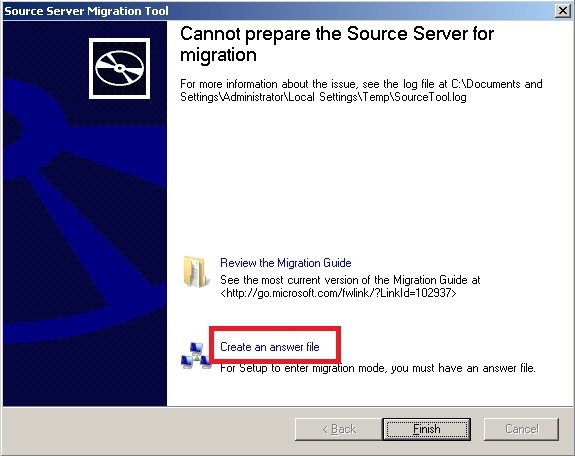 I have highlighted the link to create an Answerfile because the very first SBS migration I did I missed it. It doesn't jump out at you and make itself obvious that it's a link. Perhaps this should have been a button to press? Click the link and then fill the form in as below. 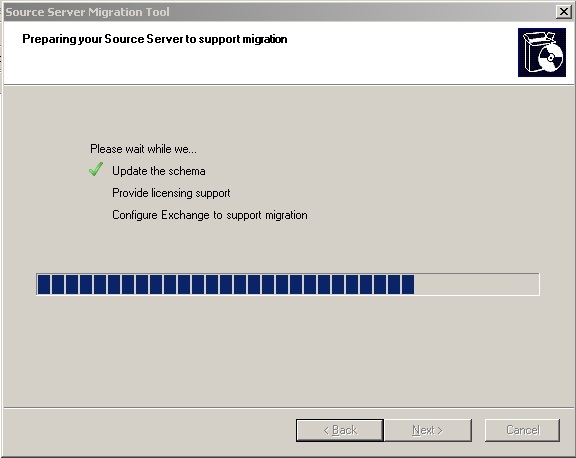 Installation Type, make sure you select Migration from Existing Server (join existing domain) otherwise it won't! Select the Time Zone you will be using. IMPORTANT if the time and timezones of both servers don't match then the migration may fail. To install SBS2008 if your server has 2 network cards, make sure that one of them is disabled in the BIOS. If you don't, this can cause communication problems with the 2 servers. I have seen some have problems and others that don't but personally I would rather be safe than sorry. Set your boot device priority so that it is first DVD/CDROM Drive and second, the Hard Disk. The important thing to make sure is it's not going to try and boot from either the floppy drive or the USB drive. Insert your disk/drive with the Answerfile on and boot from the SBS2008 DVD. Follow the instructions to install SBS, it's fairly self explanatory. The installation will expand files and then reboot. After the second reboot it will check for the Answerfile, either on the local storage, floppy drive or USB drive. If it successfully finds one you will see this screen. This section of the installation can take anything from 45 minutes to 2 hours. A lot of that time it will look as if it hasn't moved. Whatever you do do not think it has failed and turn it off. If it has failed it will tell you. Once this section has finished the server will again reboot. And the screen we all hope to see is this one. 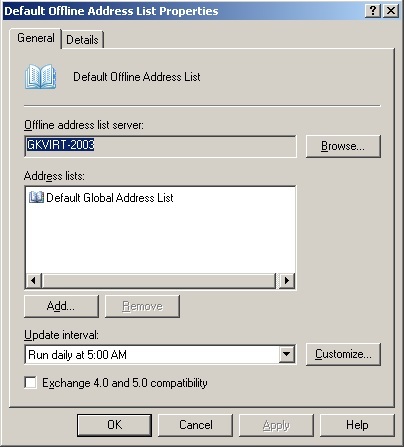 To move public folders on the Exchange 2003 server launch Exchange System Manager. 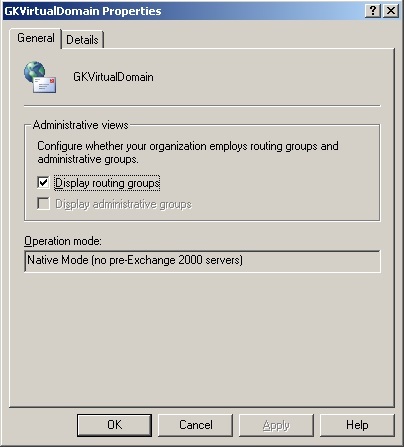 Navigate to Administrative Groups > First Administrative Group (or if you Exchange 2003 admin group has a different name select this one) > Servers > servername (your Exchange 2003 Server) > First Storage Group > Public Folder Store (servername). 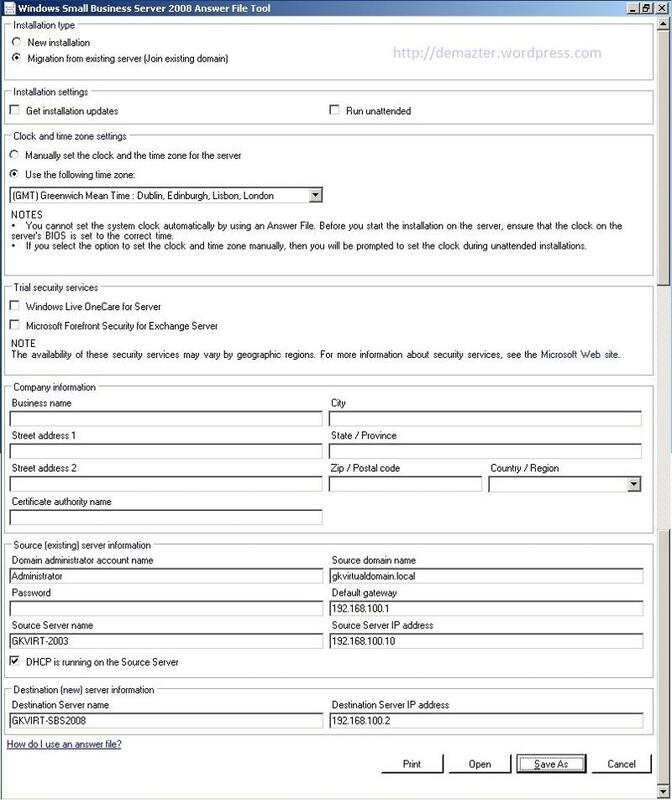 Right Click on Public Folder Store and select Move All Replicas select the SBS2008 server and click OK. Once you have allowed for the public folders to replicate (this can take some time), right click the Public Folder Store in Exchange System Manager and select Delete. A dialogue box will pop up informing you that this store is the default store for one or more Mailbox Stores, click OK to this dialogue and then select the SBS2008 server from the list and click OK. Click OK to confirm the delete. Now that you have transferred all the mailboxes, public folders and offline address lists, it's time to remove Exchange Server 2003. To do this go to Start > Control Panel > Add/Remove Programs. 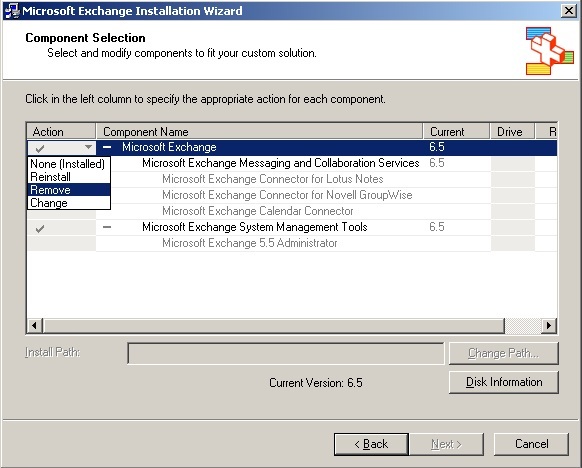 From the list, select Microsoft Exchange and click Change/Remove. When the Exchange wizard opens click Next and then from the Action drop down select remove. Now that Exchange Server 2003 has been removed it's time to demote the Windows 2003 server so that it's no longer a domain controller. This is not an essential part of the process and if the server is going spare and you have the license it's always worth having a second domain controller on your network. Run DCPROMO. DO NOT select the option for "This Server is the last domain controller in the domain"
When running the Set up your Internet Address wizard it may fail. The reason for this is that some of the system Public folders are Mail Enabled by default. 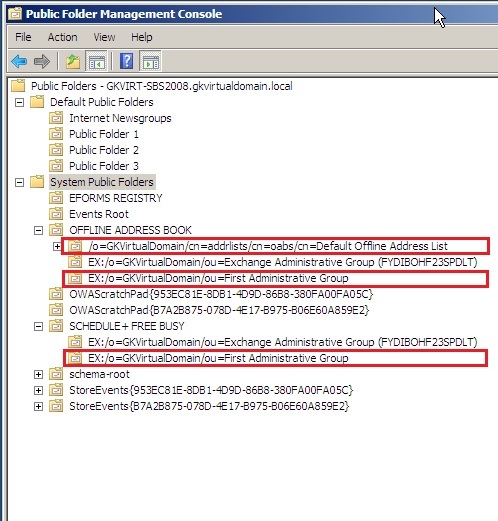 To ensure that the wizard will run successfully in the Exchange Management Console navigate to Toolbox and double click on Public Folder Management Console. On my System the folders highlighted below were mail enabled, by simply right clicking on them and selecting Mail Disable will then allow the Internet Address wizard to complete successfully. There are a few other steps that need to be performed to make it a "proper" SBS 2008 setup. The users and computer accounts need to be moved in Active Directory Users and Computers. 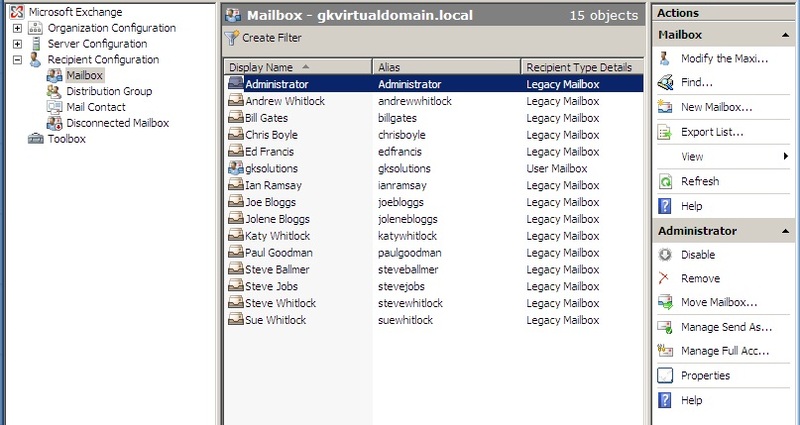 By default in a non Small Business Server environment all your users will be created in Active Directory User and Computers under the Users container for SBS they need to be located in the MyBusiness > Users > SBSUsers container. You can simply drag and drop them into the correct location. Users will also not appear in the SBS Console, this can be rectified by running the process explained here: http://blogs.technet.com/sbs/archive/2008/09/22/why-are-some-of-my-users-not-displaying-in-the-sbs-console.aspx under How do I use the "Change user rols for user accounts" wizard section.